These took five minutes using the steam function of my Instant Pot pressure cooker. The recipe said to use something metal to keep the eggs separated like mason jar rings or cookie cutters. I ended up getting small basket sink drainers from the dollar store and put an egg in each “basket.” I’ve also seen people use rolled foil to keep them separated. I selected the steam function, set it for five minutes (four minutes for soft-boiled eggs) and then manually let the steam out per the instructions on the Instant Pot website. Placing a wet towel over the top helped as they explain. Transfer to cold water, peel and refrigerate. I cooked both fresh eggs and eggs that were nearing expiration and both turned out great. Making hard-boiled eggs for Easter, deviled eggs or egg salad just got a whole lot easier! 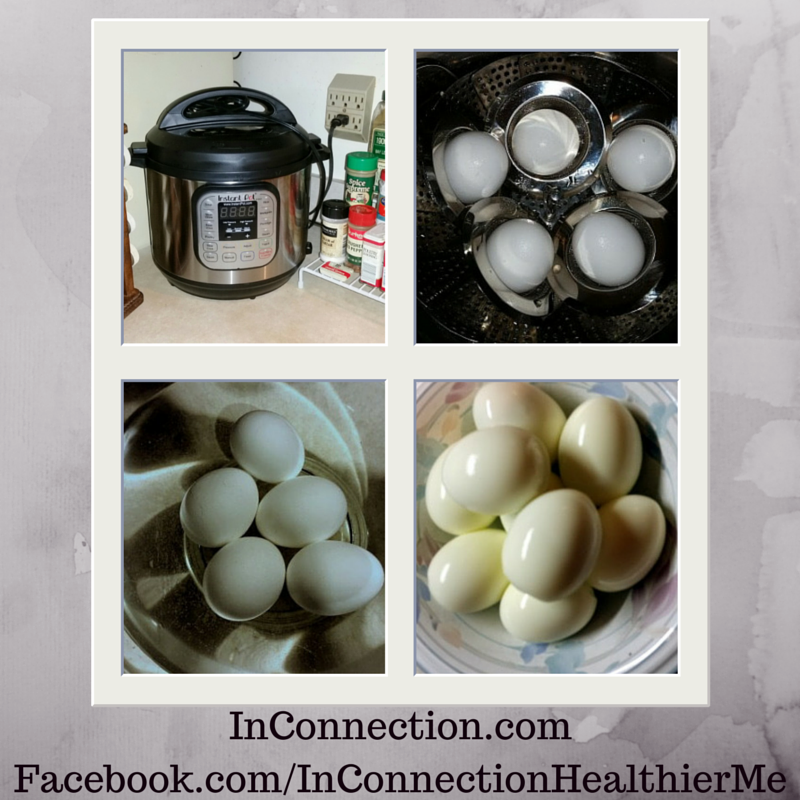 Posted on April 2, 2015, in New, Real Food, Recipes and tagged Easter Eggs, hard-boiled eggs, Instant Pot, pressure cooker, soft-boiled eggs. Bookmark the permalink. Leave a comment.